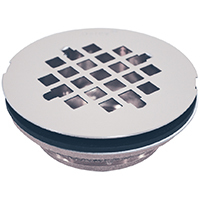 Brushed Nickel Push & Seal drain with overflow. 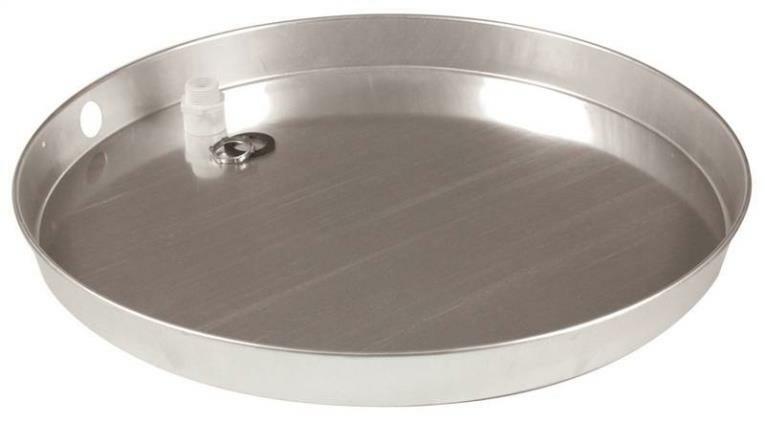 Fits all standard bathroom sinks with a gauranteed tight seal. 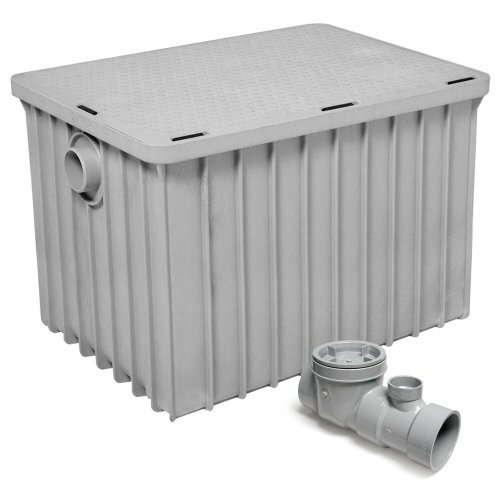 Tool free installation - installs simply by hand tightening. Includes overfole slot. 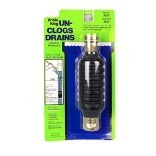 Product is 9 9/16" high with a frain connection of 1 1/4" and fits max sink thickness of 2 1/2"
Brass vacuum breaker. Heavy Duty. Chrome. Functions in any position. For 1/2" IPS connections. 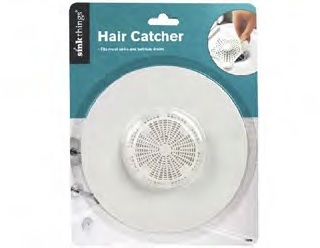 HAIR CATCHER Sink Things brand hair catcher 5" hair catcher fits most sinks - and bathtub drains Made of white rubber 11008 5 IN. 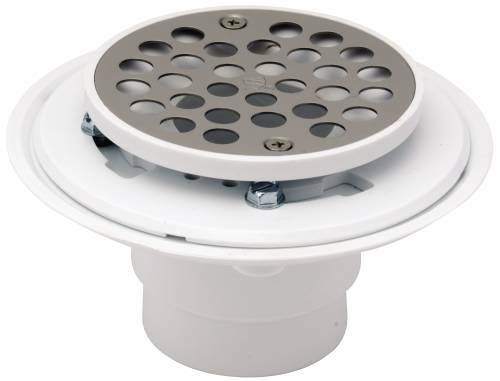 HAIR CATCHER SIZE:5"
SHOWER DRAIN ASSEMBLY PVC - white plastic grid Quick caulking Compression type Use on steel, fiberglass and plastic shower bases Internal compression sealing gasket Fits 2" Schedule 40 steel or plastic pipe No solvent or lead required 4-1/2" flange 133-101 2 IN. 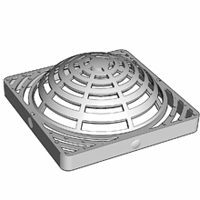 PVC SHOWER DRAIN SIZE:2"
Great for cleaning main and outside sewer drains.Great for cleaning basement drains.Cleans outside deck drains.Fits drain size of 3 to 6-Inch.Made in the U.S.A.. 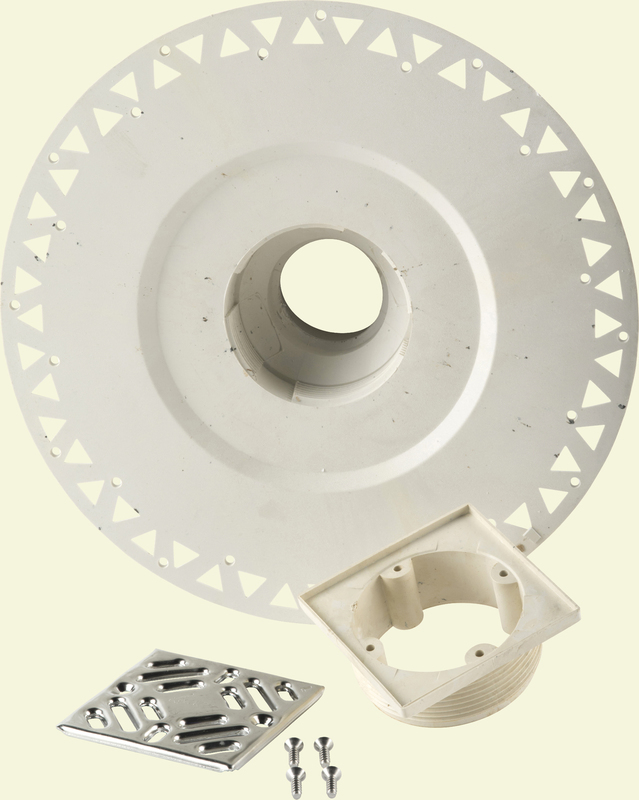 Heavy brass Tub Wastes are designed to fit standard bath waste shoes. 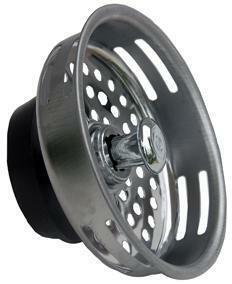 Replace OEM bath wastes, eliminate need to use Pop-Up Levers, Plugs and Rods. 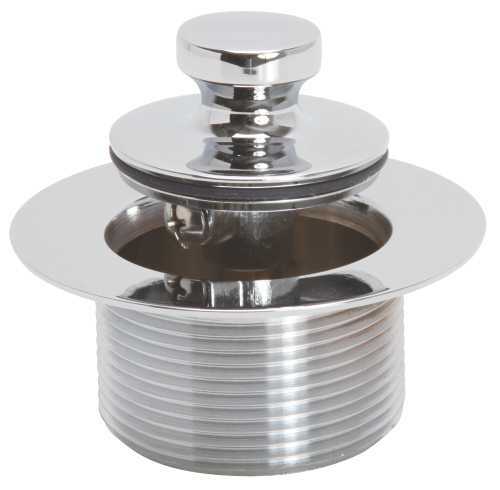 Solid brass LIFT & TURN Stoppers are designed for easy use & are vandal-resistant. Polished chrome finish. 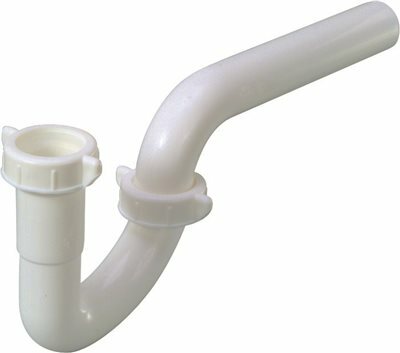 DURAPRO� PVC P-TRAP WITH ADAPTER, 1-1/2 IN. 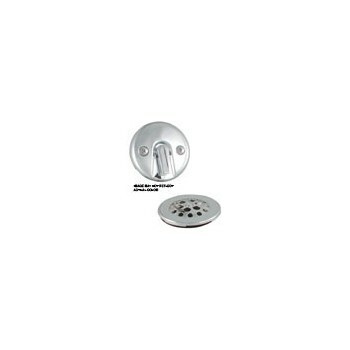 DURAPRO� PVC P-TRAP WITH ADAPTER, 1-1/2 IN. 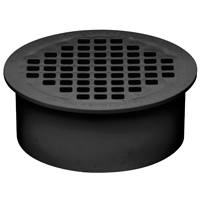 DURAPRO� PVC P-TRAP WITHOUT ADAPTER, 1-1/2 IN. 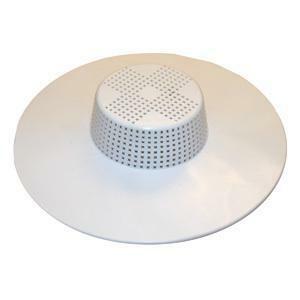 DURAPRO� PVC P-TRAP WITHOUT ADAPTER, 1-1/2 IN. 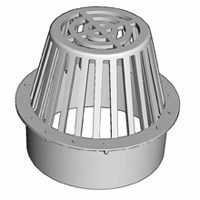 Durapro -- Slip Joint To Tailpiece Or Direct Connect To Strainers, 1-1/2" OD X 16" with Baffle. 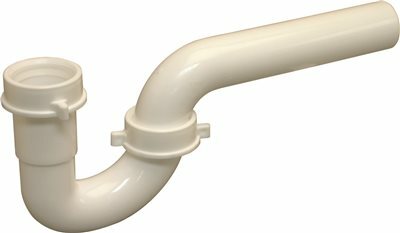 DURAPRO� PVC P-TRAP ARM WITHOUT ADAPTER, 1-1/4 IN. 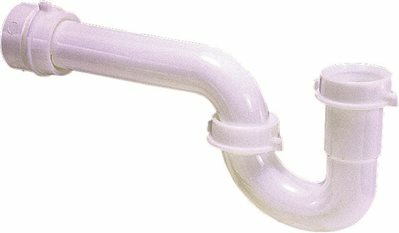 DURAPRO� PVC P-TRAP ARM WITHOUT ADAPTER, 1-1/4 IN. 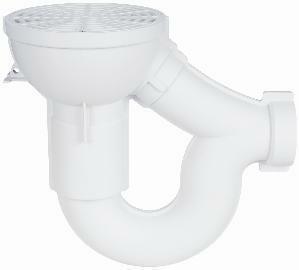 This true 1-1/4" trap arm comes without an adapter. It easily installs with 2 nuts and 1 washer. 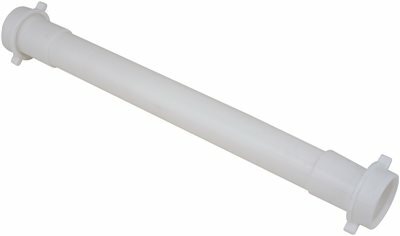 DURAPRO� PVC DOUBLE-ENDED EXTENTION TUBE WITH SLIP JOINTS, 1-1/2 X 16 IN. 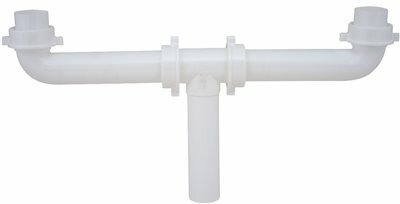 DURAPRO� PVC DOUBLE-ENDED EXTENTION TUBE WITH SLIP JOINTS, 1-1/2 X 16 IN. 1-1/2". Length: 16" Double Split. 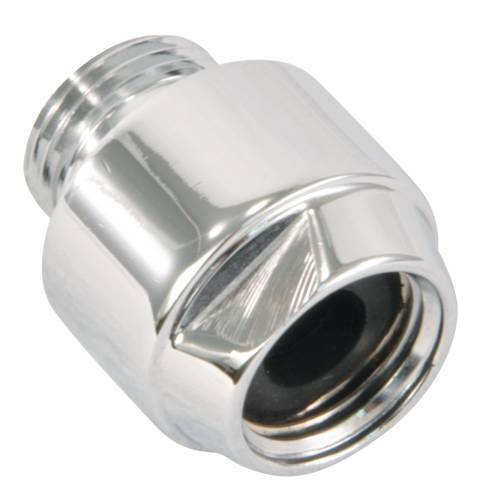 DURAPRO� FLEXIBLE DRAIN TAILPIECE WITH SLIP JOINT, 1-1/2 X 12 IN. 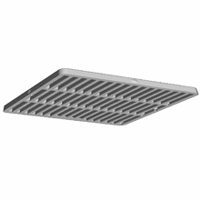 DURAPRO� FLEXIBLE DRAIN TAILPIECE WITH SLIP JOINT, 1-1/2 X 12 IN. SHOWER DRAIN PVC BOLT DOWN 2" X 3" SHOWER DRAIN PVC BOLT DOWN 2" X 3"